The full form of MBA is Master of Business Administration and it is a master's degree in business administration management. The MBA is a terminal degree and a professional degree. The MBA course duration is 2 years which is divided into 4 semesters. The subjects like Management Theory and Practice, Leadership and Entrepreneurship, Financial Markets and Instruments and Business and Corporations Law are part of the MBA subjects. Accreditation bodies specifically for MBA programs ensure consistency and quality of education. Imparts a strong theoretical foundation in business concepts. Provides practical opportunities through internships, group assignments, and individual projects to test what students learn in the class. Builds hard-skills in the areas of management and leadership. Polishes a range of soft-skills like communication, motivation, and negotiation. Opens up global opportunities for career growth. MBA career opportunities are in various employment areas like Banks, Multinational Companies, Business Consultancies, Industrial Houses and many more. Allows MBA students to start an independent business after graduating. Colleges like Manav Rachna International Institute of Research and Studies, Faridabad, Xavier's Labour Relation Institute, Jamshedpur, Faculty of Management Studies, Delhi are some of the top colleges for MBA in India. 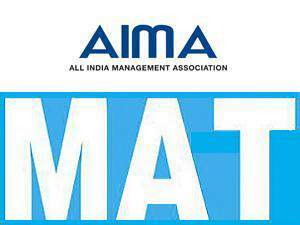 The MBA syllabus covers various fundamental practices, the dos, and donts of the industry. The MBA job & scope is that the one completing the course is expected to take up the managerial responsibility of the department he/she is hired for.